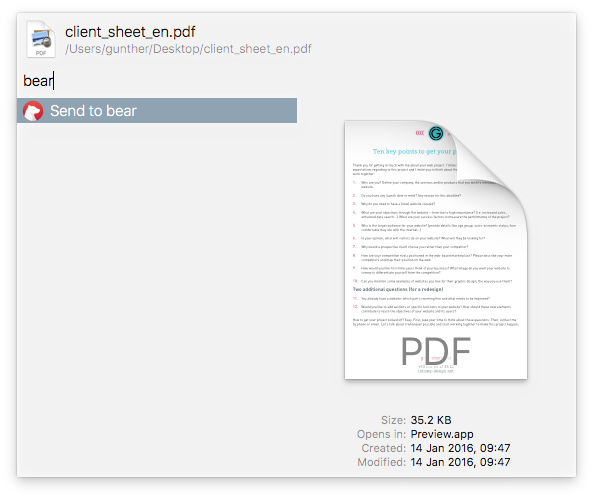 This is a file action that allows you to send files from the finder to the note-taking app Bear. Your mac will probably ask you to allow Alfred to take control of your mac by checking a checkbox in the accessibility settings of the privacy pane in your system settings. This is necessary because the workflow uses Applescript to click a menu item.